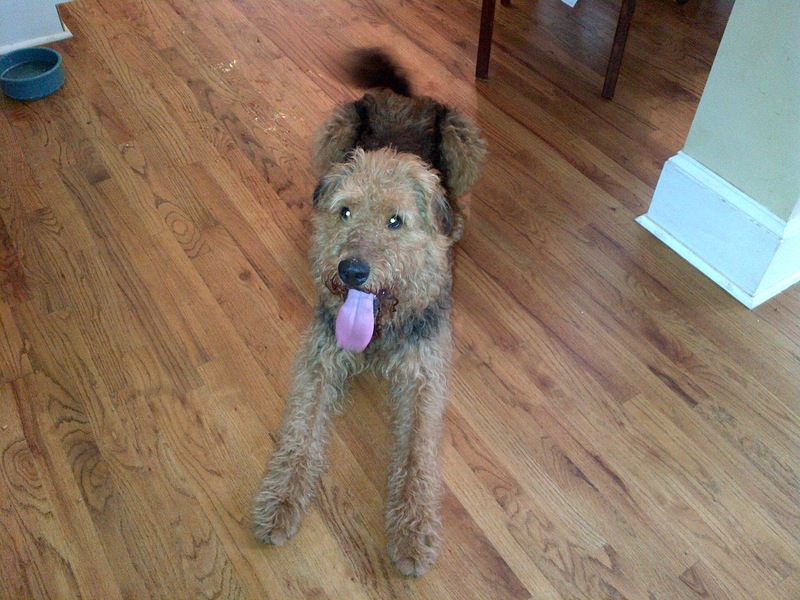 Cooper is a perfectly mannered male Airedale. He is estimated to be a young adult. 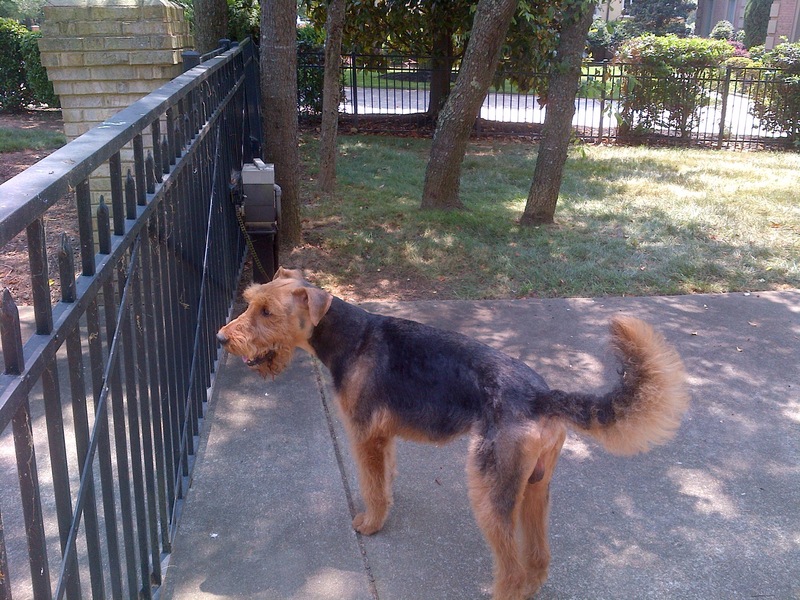 Cooper is a unique airedale as he has a natural tail. Cooper is a great house guest and does not even get on the comfy furniture! He walks well on a leash. 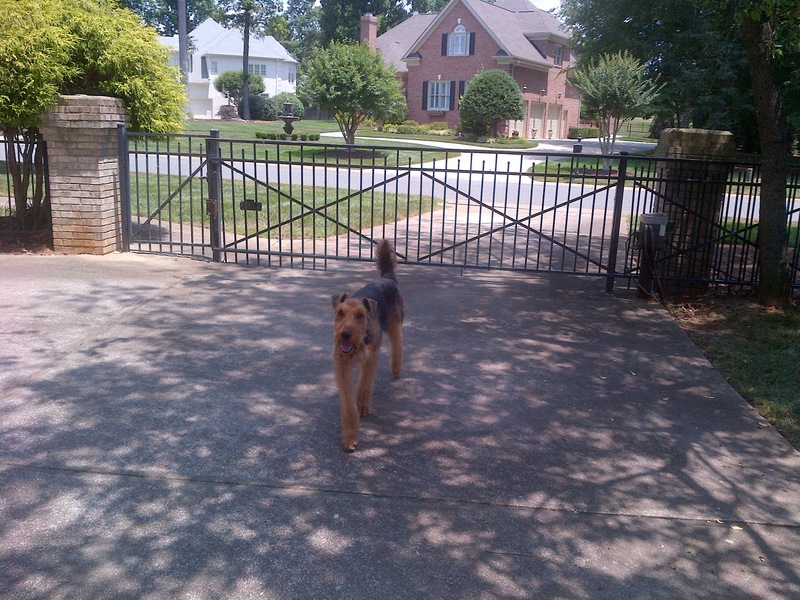 Cooper has a fenced yard and he is respectful of the fencing. He likes to play with a ball. 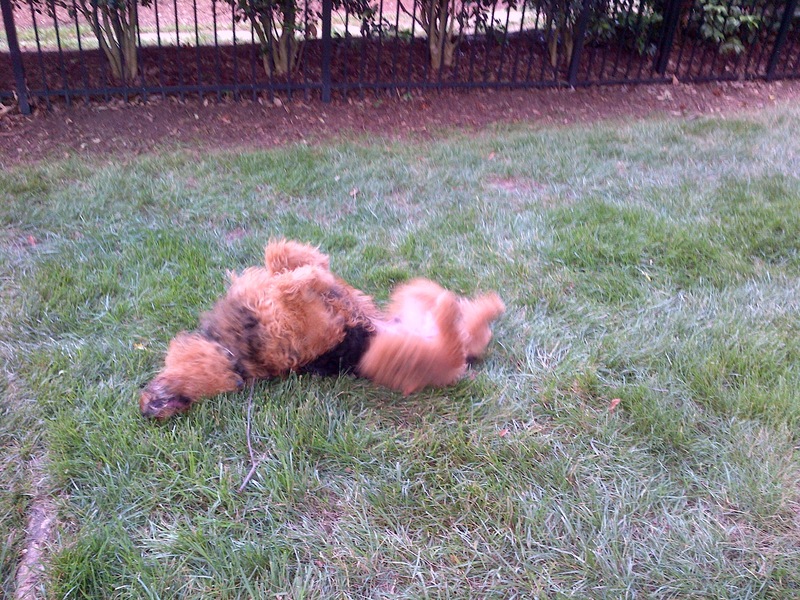 Cooper knows some basic obedience too. Cooper is recently neutered. He is up to date on vaccines. He is heart worm positive and is being treated for heart worms. He is not available for adoption until this treatment is completed.